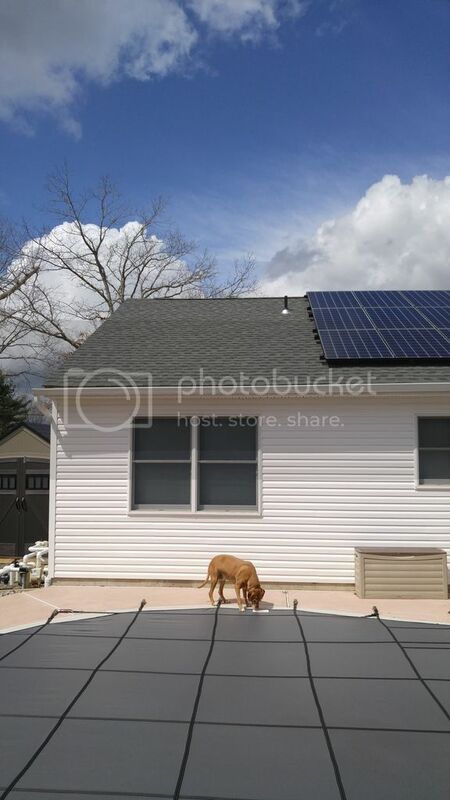 Hi, I'm trying to see if a solar heater would be worth it for me my pool is 16x32 free form but only goes to 5 1/2 feet deep. I already have regular solar on my roof so I only have an area roughly 10x20. I get direct sun all day and the pool was high 70 to mid 80 all summer in nj. Would 200 sq ft of panels extend my season at all? Yes, it will definitely help. I have 240sf of panels for an 18x41 pool. It helps lots of days in spring and fall and also after rain or cold fronts. Be sure to get a solar controller so it shuts itself off when there isn't heat available. Nothing cools off a pool like running solar panels in the rain or cold wind on a cloudy day. 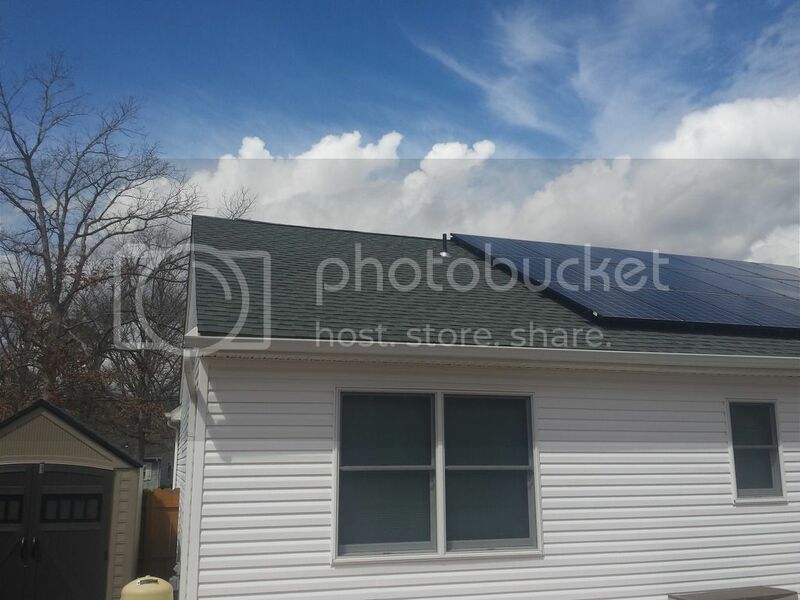 There are pics of my solar install in my pool thread, link in sig. Also, an 8mil solar cover will also help a lot to reduce heat loss overnight. Thanks for the quick reply, I only have an area 10'wide, alot of the panels I see are 20'wide can I mount them vertically? If that makes sense. Get 5 panels that are 2x20 but mount them side by side? The 20 foot long panels are horizontal mount only. The 10 or 12 foot long panels can mount vertical. Do you have any panel recommendations? Sounds like you should get five panels that are 4 foot wide by 10 foot tall. I got mine used off of Craigslist and installed them myself. I think I need them to be 10 foot wide 4 foot high. Can I have 5 rows of 10x4 panels? I have the 4X8s from these folks Aquasol Pool Solar Panels Wouldn't hesitate to install them again. I was constrained on size like you. I have 6 panels on a 26ft run of roof. My vacuum breaker is at one roof edge and the outlet of the last panel is at the other. I have roughly 192ft2 of panel for a 20X36 Grecian pool in SW Indiana. Makes a big difference in maintaining temp during the swim season. I never have a problem keeping my pool in the upper 80s from Memorial Day to Labor Day. I usually shut it off at 87 or it will get too warm. The water coming out of the returns after running through the panels is often warm enough that it feels good sitting on the steps by the return. A solar blanket is a huge help on the ends of the season. I generally have mine on in May and September, but my panels let me do without it during the swim season which is really nice. Solar heat works to keep the water warm during the edges of the season, but you find that the cooler air temperature cuts down on swimming. The pool feels great, but it's too cold when you get out. You could do stacked panels with 2 or 3 in each row. You'll want to get an accurate measurement of the area to see what you can do. 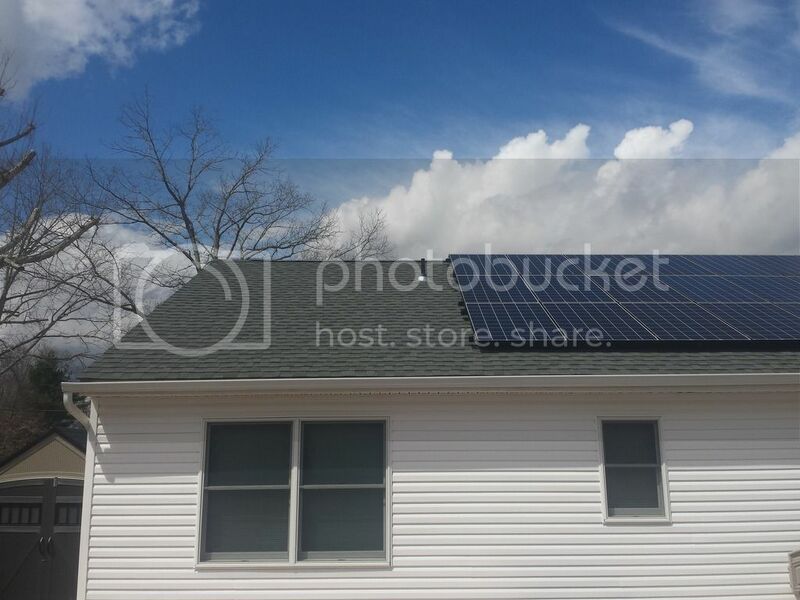 I have 12'x4' Vortex vertical panels from Solar Direct. They are made by Techno Solis. They've done great for 5 years. You can get them either way. Horizontal are normally called above ground and vertical are called in ground. I don't know why. I've seen both installed on roofs. What are the dimensions of the open area on the roof? So you could do 2 rows of 2 4x8 panels. Some companies have 2 foot wide panels too that you could add in each row. I found these Pool heater solar panels. does any one know if I can set these up as a column instead of a row? OK thanks for the quick reply. I sent an email to solar direct to see if they could help me put together a package that will work hopefully they answer me back. You are going to need the exact dimensions of the area on the roof, including the location of that vent pipe.